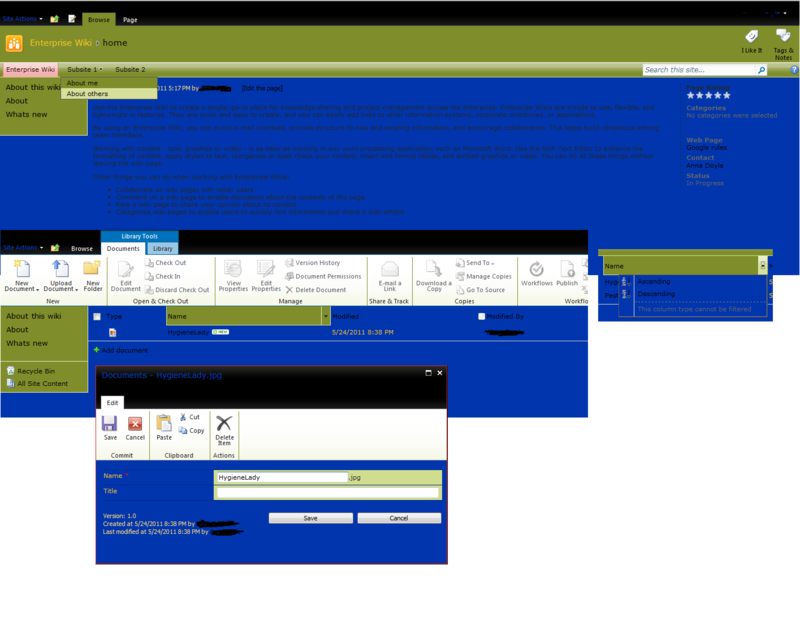 This styles tells SharePoint to use Hyperlink theme color to paint in toolbar. This style paints ribbon with a slightly darker from Dark2 color, and it is not just a color, it is coloring the image. Some css/html skills required, no Visual Studio. Use SharePoint Designer. Create a new css file (in Style Library), copy all core4.css content to it (or not, if you decide to still reference corev4.css, you can start from empty new css and only copy styles as you go). Use Firebug to identify lines of css you need to change. Copy them to your custom.css and modify to your taste. Register your css in masterpage. This method is sufficient when you need to change some default behavior. E.g. If you don’t want left navigation background to be the same as top navigation background. Also, it is only way if you are not allowed to deploy anything to the server. Assuming you are customizing v4.master and core4.css, this will give you very limitless flexibility in terms of changing things on your SharePoint site. You usually start from css changes but you will quickly find it hard to not to touch masterpage as well. E.g. to modify top navigation or breadcrumb behavior, or to add “People search box”. Another way for creating cool looking custom SharePoint styles is using the SharePoint Online Designer for generating css files.